A Look at Genesis: Did Moses Believe In Divine Election? Divine election–that’s something the Apostle Paul made up to distort the beautiful message of the gospel and turn it into some ugly favoritism, right? The book of Genesis is foundational in so many ways for the Christian worldview. It is truly a book of beginnings–the beginning of creation, mankind, marriage, sin, murder, musical instruments, war, and languages to name a few. If there is a theological truth to be found elsewhere in the Bible, the seed of that truth is planted in Genesis. Let us consider this foundational book and see if Moses had any concept of divine election. Immediately following Adam and Eve’s fall into sin, Moses records God’s promise about the future. 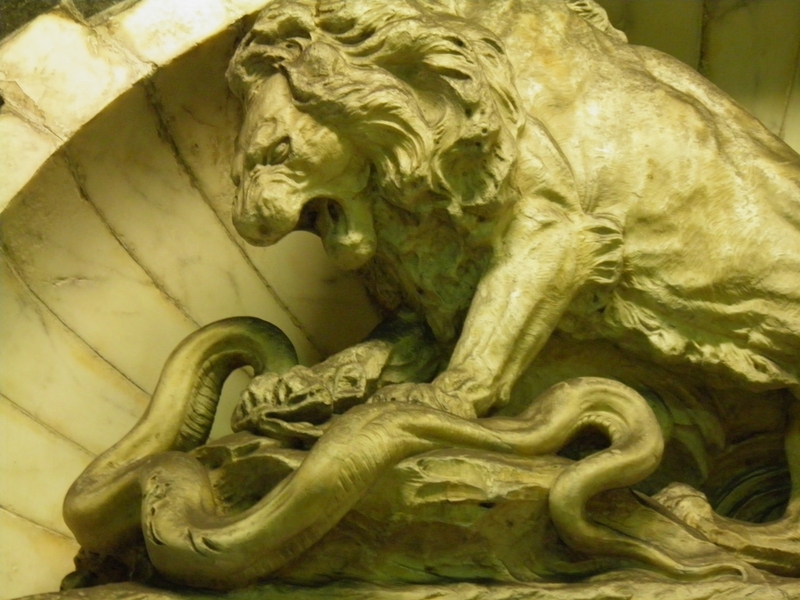 Speaking to the serpent he swears, “I will put enmity between you and the woman, and between your seed and her seed; he shall bruise your head, and you shall bruise his heel” (Genesis 3:15). Only three chapters into Moses’ introductory volume we have the Creator promising that one seed will be victorious over the other seed. This epic struggle will characterize the rest of the book of Genesis: two seeds vying for victory. After expulsion from the Garden, Eve gives birth to two sons: Cain and Abel. In the course of time, these men bring an offering and “the LORD had regard for Abel and his offering, but for Cain and his offering he had no regard” (Gen. 4:5). In anger, Cain preys upon his brother in the field, killing him. A struggle between two seeds? Hmm? It seems the seed of the serpent has won. The rest of Genesis 4 delineates the line of Cain which concludes with a proud, violent man named Lamech. But, the Lord allows Eve to bear another son, whom she names Seth, saying, “God has appointed for me another seed instead of Abel, for Cain killed him” (Gen. 4:25). Hope for the seed of the woman is revived. Genesis 5 contains the lineage of Seth which also concludes with a man named Lamech, a man who has hope for peace on earth. It is the son of the second Lamech who weathers the flood, while the offspring of the other Lamech is swept away. Two men with the same name. One chosen, the other destroyed. I could recount every story from each generation after Noah, but allow me to summarize. After immorality toward his father, Noah curses Ham’s seed Canaan but blesses Shem’s seed. God separates the nations of Genesis 10 at the tower of Babel so that he can select a certain offspring of Shem: Abram. When the Lord brings Abram and his family into the land of Canaan, his nephew Lot tags along. However, they are forced to separate, and after Lot departs into the better land God promises again to Abram that he will bless his seed. Abram has two sons (surprise): Ishmael and Isaac. However, one is sent away and the other is the child of promise. Isaac has two twin sons (surprise): Esau and Jacob. Esau forfeits his birthright and Jacob steals the blessing. Jacob has twelve sons, and his son Judah who will inherit the promise of Genesis 3:15, has two twin sons (surprise): Perez and Zerah. The point is, Genesis is a repetitive fork in the road, two seeds. God chooses one to move his plan forward. Interestingly, as the story of God’s people continues, all of the peoples who were not chosen–Canaanites (Ham’s seed), Moabites and Ammonites (Lot’s seed), Ishmaelites (Ishmael’s seed), Edomites (Esau’s seed), –all try to steal the blessings of Abraham’s seed at some point in the rest of Moses’ volumes. Is there an indication why the story goes this way? There is a telling account in Genesis 31. Jacob flees before his furious brother Esau, and ends up in the house of his uncle Laban in the land of Aram. For twenty years, Jacob–the man who bilked his own brother and father–is on the receiving end of Laban’s trickery and deception. The man who disguised himself to fool his father is paid back when Laban uses a disguise to fool Jacob into marrying the wrong daughter. Finally, Jacob flees Laban in a mad dash. After four days of pursuit, Laban finally catches Jacob, and as they stand in Gilead, it is a stark contrast. Two men so alike it’s like looking in the mirror. Both are witchcraft-practicing tricksters. Both are completely undeserving of God’s favor. However, Laban stands completely destitute. His only two daughters have been taken from him, his flocks given to Jacob–without wealth, descendants, or hope. Jacob stands opposite him with wealth beyond imagination, twelve sons, flocks, hope, and the blessing of the LORD. Why? God’s grace. Jacob has done absolutely nothing to merit these blessings. It is God’s gracious favor upon Jacob that has brought about this stark contrast. The preening self-righteousness of Jacob in this scene is ironic. He believes himself justified in anger against Laban, and he doesn’t recognize that Laban is a picture of himself–only without God’s grace. It’s not until the next chapter, when the LORD wrestles with Jacob, that he finally realizes how helpless he is without the blessing and favor of the LORD. Genesis has no narrative without divine election. What Moses beautifully depicts is a lineage of completely helpless, sinful people who by no merit of their own come to experience the gracious steadfast covenant love of a God who has a plan–a plan for the seed of the woman, Jesus Christ, to crush the head of the Serpent. Next Post Are You a Theological Inbred?